Hey, Metallica just did it. The Beatles, KISS and Elvis have done it, as have many others. 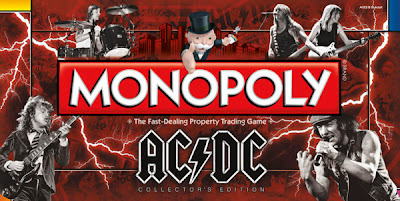 Monopoly announced Wednesday that the customized AC/DC Monopoly game is going into production next week and will be available in the US this August. Now you'll be able to shake the dice all night long. It’s interesting that the popular board game is still cranking out editions, but maybe the customized ones are the way to go in order to attract consumers in the digital age.